The mission of the health non-profit Daniel Chapter One was simple. Using biblical principles, Jim and Patricia Feijo created a series of products enthusiastically endorsed by customers who claimed it soothed their ailments. Yet that was enough for the Food and Drug Administration and the Internal Revenue Service to launch an aggressive raid, complete with screaming and drawn guns, to shut down the ministry. On March 31, 2015, the United States government closed the 30-year ministry of Daniel Chapter One, claiming it might violate a governmental order – without any customer complaints or any evidence of harm. The consequences could be dire. As Jim Feijo noted, the rationale behind the government’s action could open practically every American to the charge of “practicing medicine” for sharing or utilizing folk remedies, with fines and punishments to follow. 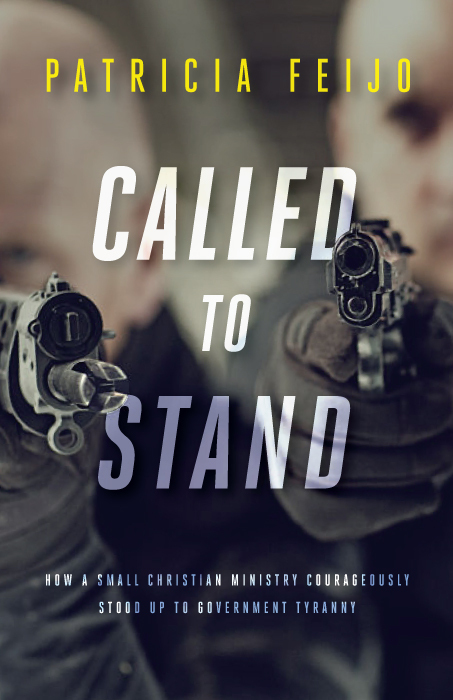 Now, Patricia Feijo is sharing her story in the new book “Called To Stand,” from World Ahead Press. However, Feijo noted some of the people helped by Daniel Chapter One credited the products with assisting their recovery from cancer. “That was the thing that really got us,” she mourned. Daniel Chapter One posted testimonies from some of its satisfied customers in the customers’ own words, accompanied by a disclaimer. This opened them up to an attack by the federal government, which was cracking down on natural health treatments. What was behind the attack? Nothing less than the Trilateral Commission itself, in the form of the Trilateral Cooperation Charter, which aimed to harmonize America’s food and drug regulations with Canada and Mexico. This unleashed a legal nightmare in which the Feijos were accused of claiming they possessed cancer cures, which they denied. At the same time, they were unwilling to deny the testimonies of their customers. There are a few things missing here, starting with the fact that World Ahead Press is the self-publishing division of WND, which the article doesn't disclose. Since it's effectively a self-published book -- which means Feijo is paying WND "as little as $4999" to edit, produce, distribute and market her book, and this "news" article is apparently bought and paid for as part of that deal -- there's no attempt made at fact-checking or fairness. We covered this story when WND first reported on it years ago, and there's a whole other side that Feijo and WND won't tell you: Daniel ChapterOne consistently refused to substantiate the curative claims it made about its products with scientific evidence, and it refused to stop making those unsubstantiated claims by insisting they were testimonials by users of its products, not medical claims by the company. The feds also pointed out that the Feijos claimed to have taken a vow of poverty, but are using the proceeds of Daniel Chapter One "to buy things like two Cadillacs, two homes, restaurant meals, tennis memberships, country clubs, pool and gardening services, cigars, carries around a Gold American Express card." Oh, and Jim Feijo stopped paying his taxes sometime in the mid-1990s, and the person who did the paperwork for incorporating Daniel Chapter One was later prosecuted by the IRS for tax evasion. That would seem to explain why the Feijos can afford to pay WND to publish and market this book. Ultimately, in 2015 Jim Feijo pleaded guilty to fraudulent marketing and tax evasion -- he falsely portrayed his employees to the IRS as independent contractors, paid his employees with checks made out to cash, and he failed to pay withholding taxes. Feijo was sentenced to a six-month prison sentence and six months of home confinement, was ordered to pay more than $218,000 in restitution, and people who bought their products were eligible for partial refunds. We suspect that didn't make into Patrica Feijo's book, since it certainly didn't make it into the WND article -- Feijo certainly isn't paying WND to tell the full truth about her. That's just one more bit of dishonesty in a paid media hit fraudulently presented by WND as "news."